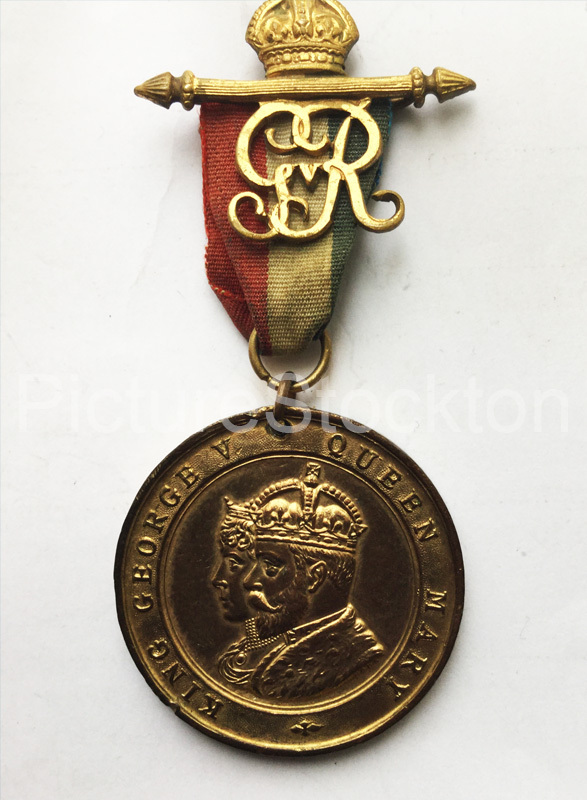 Was this medal given to commemorate the Coronation of King George V and Queen Mary on June 22 1911? 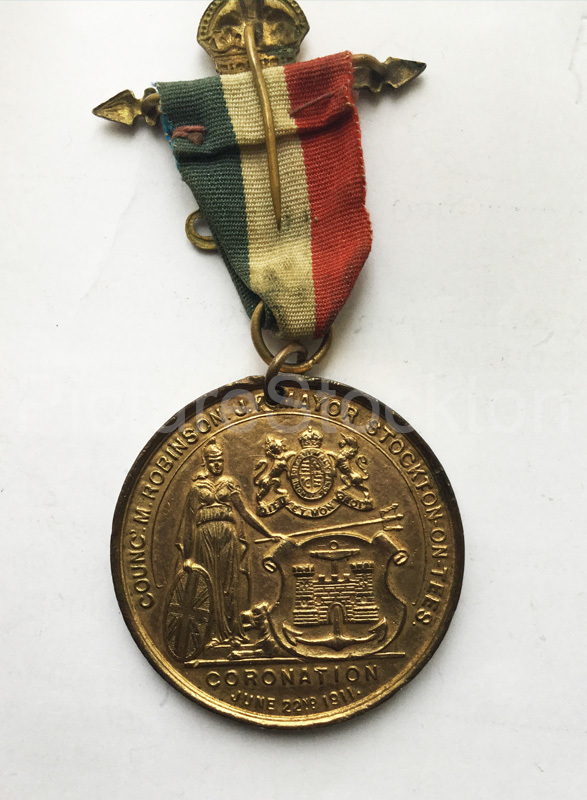 The back of the medal has ‘Councillor M. Robinson, JP Mayor of Stockton-on-Tees’. Photographs courtesy of Val Waites.